Papa John's is an international chain of pizzeria restaurants, which is listed among the top 3 world leaders in pizza production and delivery. For ten years in a row now, Papa John's has been #1 in the Product Quality and Customer Satisfaction Rating among the pizza restaurant chains in the US. This #1 position in the most competitive market of the world is yet another evidence that we are making splendid pizza our clients are fond of. Over the 15 years of operations in Russia and the CIS, Papa John's has opened 150 restaurants. More than 90 own restaurants. More than 20 restaurants belong to just one partner. 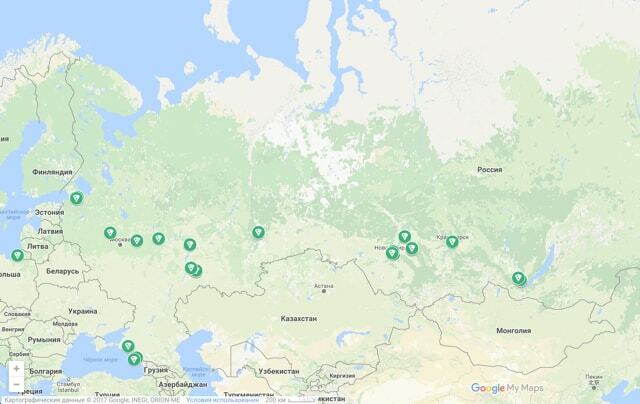 We added 8 new restaurants in Saint Petersburg just in half a year. We are the first pizza chain with over 70% of orders coming online. Papa John’s earns money by selling pizza, rather than by selling franchise. Franchising is just one of the ways for the rapid growth of the chain. We are confident in the quality of Papa John's pizza and the demand for our product, and that is why we are investing in opening our own new restaurants. Papa John's slogan stays unchanged since 1984. High pizza quality and best ingredients is the core of our business strategy. We have won the hearts of pizza-lovers, and the number of fans of Papa John's grows each year with the income of our restaurants. Want to discuss the launch of your own Papa John's restaurant?